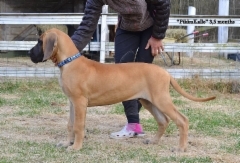 (3 fawn females, 4 brindle females and 1 fawn male) in January 2018. 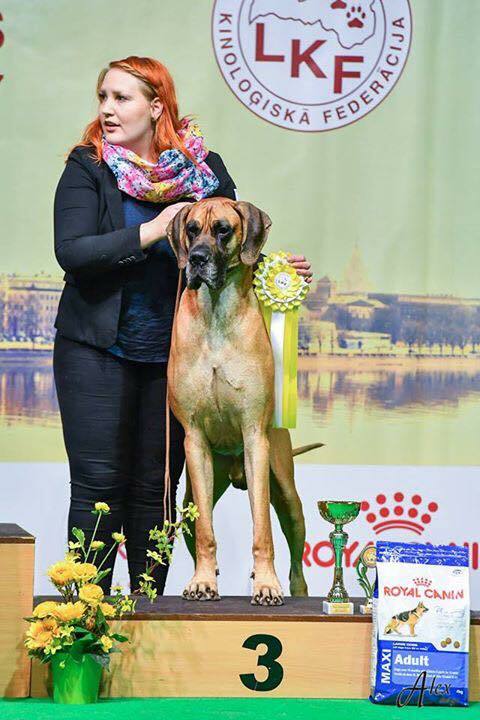 30.9.2017 LATVIA RIGA WINNER 2017 BOB & BIG-3, breed judge Bill Smith (AUS), Group judge Brigita Kremser (SI). 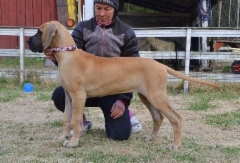 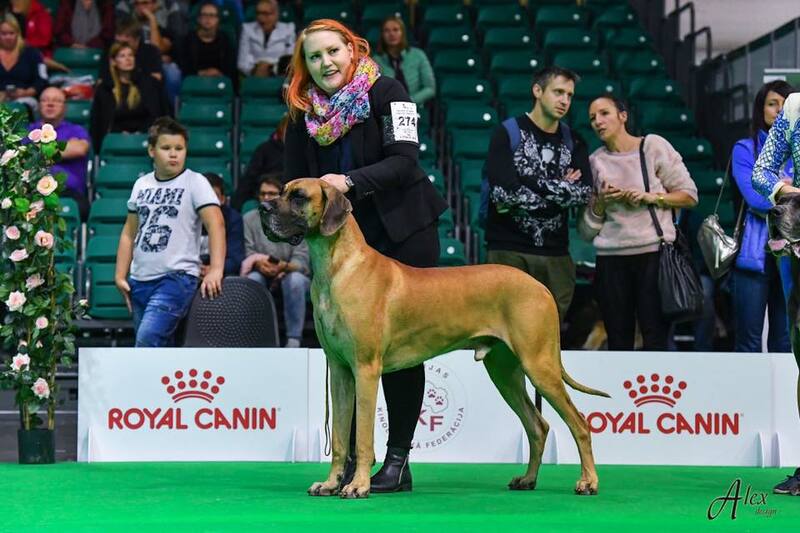 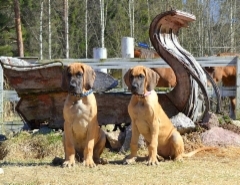 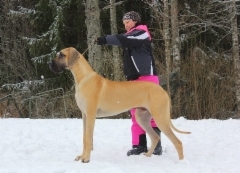 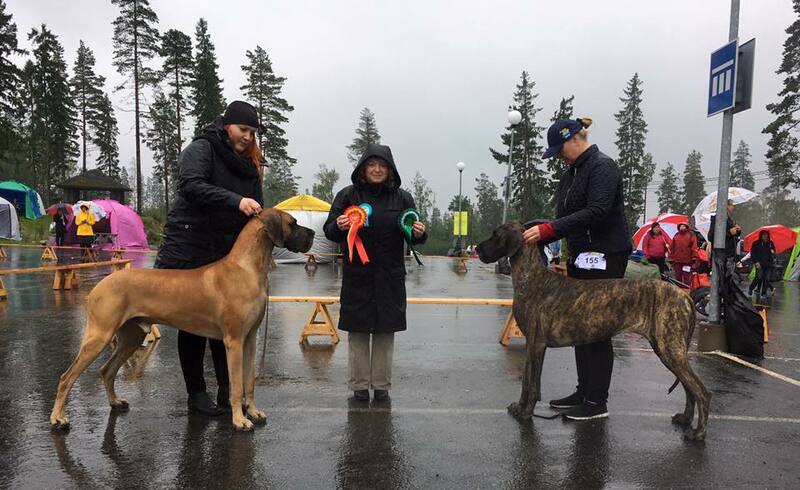 Latvia Ogre Summer 16.7.2017 BOB, BIG-1 & BIS-2, breed judge Igor Selimovic (CRO), group judge Inese Pablaka (LV), BIS-judge Pedro Sanches Delerue (PT). 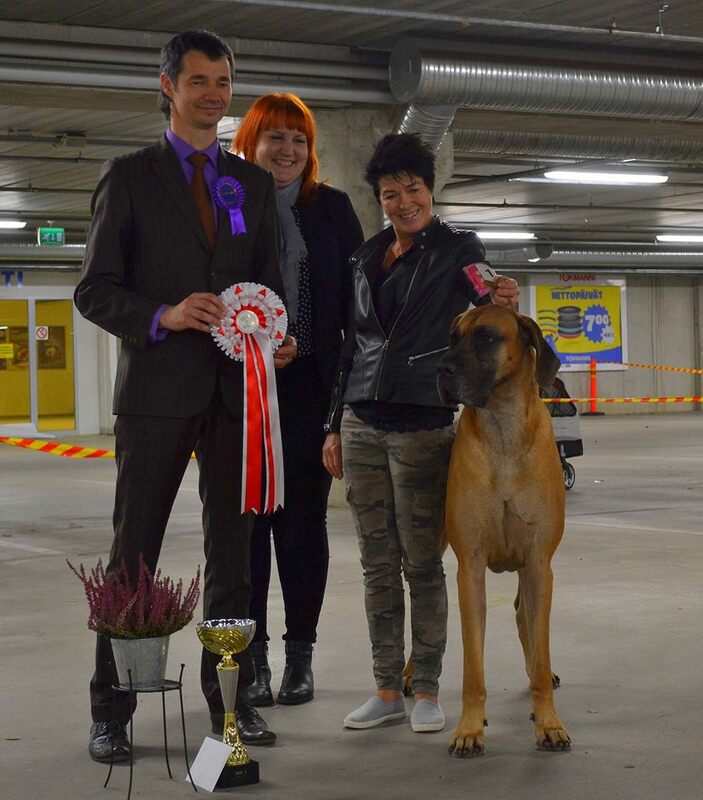 Latvia Ogre Winner BOB, BIG-1 & BIS-2 15.7.2017 breed judge Joyce Crawford-Manton (IRE), group judge Igor Selimovic (CRO), BIS-judge Johannes Schepers (NL). 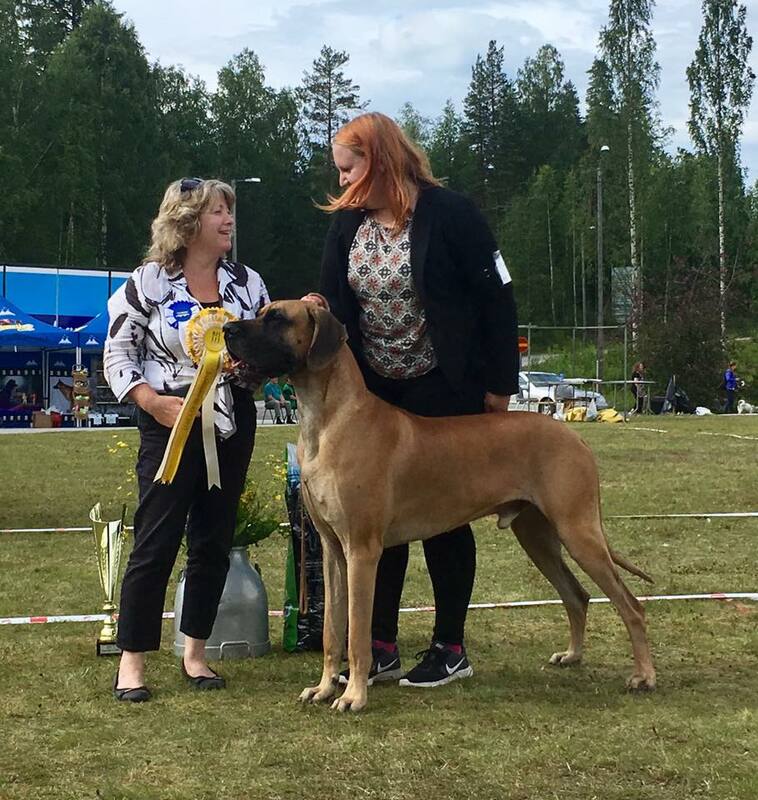 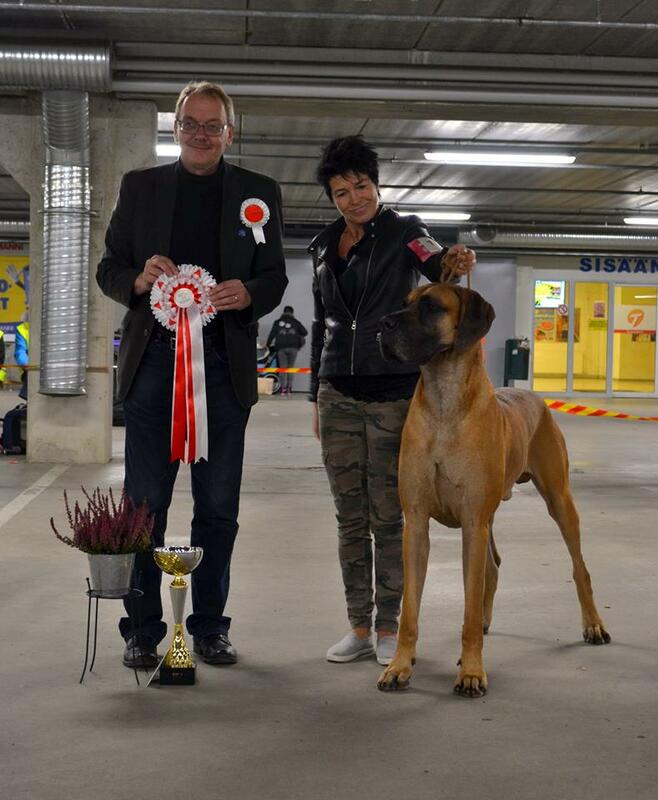 20.8.2016 Kouvola National Dog Show BOB and BIG-2 Judge: Jurate Butkiene, LT. photo by Satu Saarinen / Texterri.